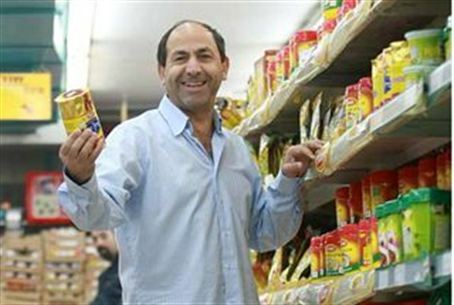 He's saved tens of thousands Israelis on food items. Now Rami Levy is set to bring his discounting magic to the cellular phone business. He's saved tens of thousands Israelis money on food items – like chicken, which he sold for the unheard of price of five shekels a kilo, and before Passover, to boot – and now Rami Levy is set to bring his discounting magic to the cellular phone business. Beginning in mid-November, Levy Communications will be up and running, with Rami Levy taking on Israel's Big Three cellphone service providers by undercutting their price per minute by half, or even more. The new company was made possible after the government's adoption last year of a plan to allow “virtual” cell phone service providers to sell services to the public. Levy's is one of five MVNOs (mobile virtual network operators), which use existing cellphone service infrastructure (in this case, Pelephone's) to sell services to the public. The use of the cellphone companies' infrastructure by virtual providers was one of the conditions Pelephone, Cellcom and Orange had to agree to in order to get licenses to the frequencies they use for cellphone service. Instead of the complicated “plans” by the major service providers, Levy – whose subscribers will receive a phone number with the prefix code 056-66 – offers a “pay one price” plan of 20 agurot per minute for talk, and discounted rates for messaging and internet use. Customers pay for the minutes they use only, and there are no contracts requiring them to stay with the company. Customers will be able to sign up at Rami Levy branches around the country. For various reasons, Levy cannot accept transfers of customers directly from Cellcom at this time, but he hopes that that problem will be resolved in the near future.